Atlanta Real Estate Forum > Residential > Atlanta New Homes > What’s Brewing at Traton Homes? Homes That Can Close in 2018! 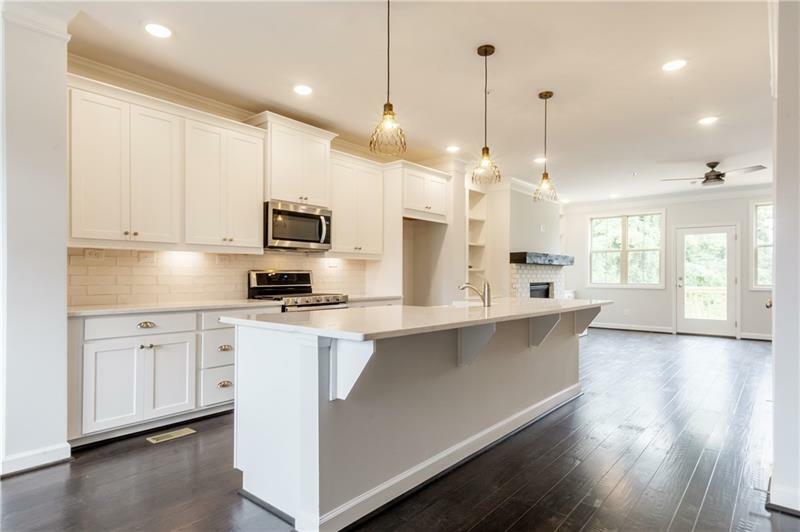 Woodland Parc in Smyrna: December-Ready Townhomes and a Walk to SunTrust Park and The Battery! Dream of living in metro Atlanta’s hottest new destination? Make your dream a reality by owning a new townhome at Woodland Parc! A walk away from The Battery Atlanta and SunTrust Park, you will have easy access to dining, shopping, and entertainment including the Atlanta Braves and the Roxy Theater. Living here, you will have a low-maintenance lifestyle that allows you to enjoy the things that matter most! Priced between $389,300 and $414,300 and ready to close this year, these homes feature three bedrooms, two-and-a-half baths, a two-car garage, spacious open living areas, gourmet kitchens and large owner’s suites! Ask about incentives today when you call Bradley Clapp, New Homes Specialist, at 678-391-9495 or email him at BClapp@TratonHomes.com. The Registry at Marietta Square: December- Ready Townhomes and a Walk to Marietta Square! What’s as hot as a pumpkin spice latte? A townhome at The Registry at Marietta Square! Get the small-town feeling with the convenience of big city living in Cobb County. Timeless townhomes full of Southern charm include impressive exteriors and modern interiors with access to all three levels by optional elevator, as well as three bedrooms, three-and-a-half baths, covered porches and two-car garages. Available townhomes in historic Marietta include Townhomes #8 – #11 selling between $499,900 – $546,200. Contact Bradley Clapp, New Home Specialist, at 687-391-9499 or BClapp@TratonHomes.com. Could a new townhome at North Square in Marietta be calling your name? Located in vibrant Cobb County, these fabulous townhomes are just a walk from shops, restaurants and events at the Marietta Square. Amenities include a community pool with a cabana and outdoor fire pit. Low-maintenance living and walkability makes this a community where you can spend less time rushing around and more time hanging out! Available townhomes include Units #71-75 selling between $328,800 – $330,400. These townhomes boast three stories of poolside beauty! Plus, incentives are now available! Contact Alicia Sipsy or April Morris, New Homes Specialists, by calling 678-391-9497 or at Asipsy@TratonHomes.com or AMorris@TratonHomes.com. Downtown Woodstock has it all! Here, 28 & Mill, homeowners enjoy direct access to the Noonday Trail for a scenic stroll and a community dog park for fun with your pooch. A walk to Main Street brings you to a glass of wine among friends, fresh produce at the Farmers Market, or a local band playing during the Friday Night Live series. All this and more can be yours at 28 & Mill! Townhomes #18, #19 and #20 are selling between $379,900 – $399,900. These beauties offer three bedrooms, three-and-a-half bathrooms, open-concept floor plans, fenced front courtyards and a two-car garage. Be sure to ask about incentives when you contact New Homes Specialist Beth Jones at 678-391-9493 or BJones@TratonHomes.com. 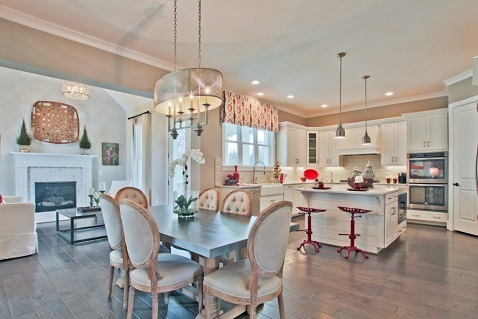 Tanglewood Preserve in Milton: Ready NOW Decorated Farmhouse-Design Model Home! This stunning five-bedroom, four-and-a-half-bath model home could be yours! Positioned on a 1.2-acre homesite, the Tanglewood Preserve model home offers unbelievable upgrades including FREE model furniture, a two-story foyer, large gourmet kitchen with island, a large family room, a guest bedroom on the main level with a full bath, a spacious owner’s suite with spa bath and walk-in closet, media room, upstairs laundry, and screened porch and deck. Desirable schools in this district are Summit Hill Elementary, Hopewell Middle School and Cambridge High School. Specially priced to close this year at $849,900 – what more could you want?! Ask about Traton Homes’ free basement finish incentive on this home for a limited time only! Contact Leslie Green, New Homes Specialist, at 678-391-9494 or LGreen@TratonHomes.com. Encore Walk in Alpharetta: December-Ready Townhomes in the Encore District! Sound the alarm! Traton Homes is nearing close out in the sought-after Encore Walk community of Alpharetta! Only ONE beautiful townhome remains that can close this year! It is an end unit featuring a gourmet kitchen, luxurious bath, spacious living areas, and a two-car rear-entry garage. The proximal location allows for easy access to the Verizon Wireless Amphitheater, North Point Mall and many dining, shopping and recreation opportunities. Townhome #1 is available for $424,900! Ask about incentives when you contact Kelly Anderson or Lynnsey McCarter, New Homes Specialists, at 678-391-9498 or KAnderson@TratonHomes.com and LMcCarter@TratonHomes.com. Traton Homes will set you up with FREE Starbucks coffee while you brew it over, but don’t let these hot deals get cold! Call to schedule your tour today!